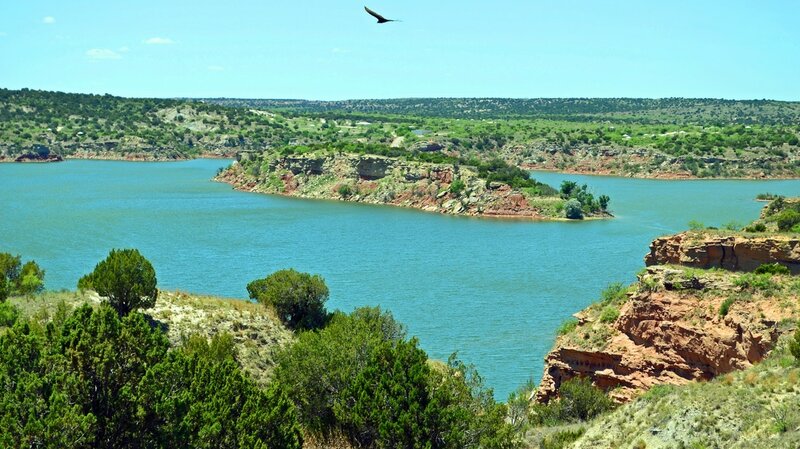 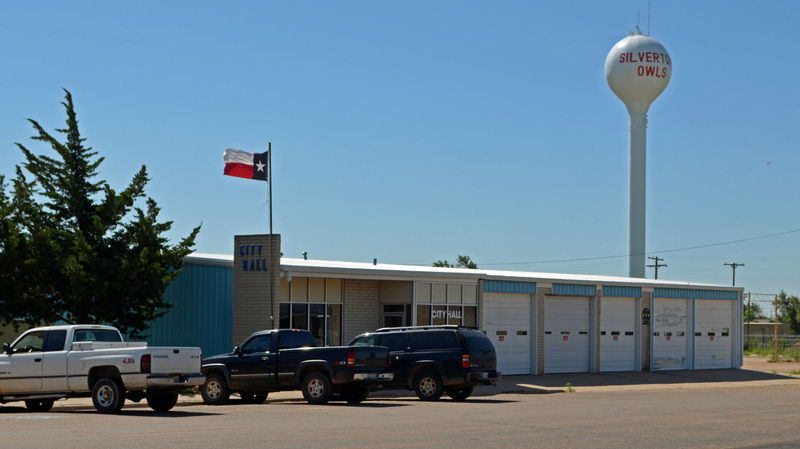 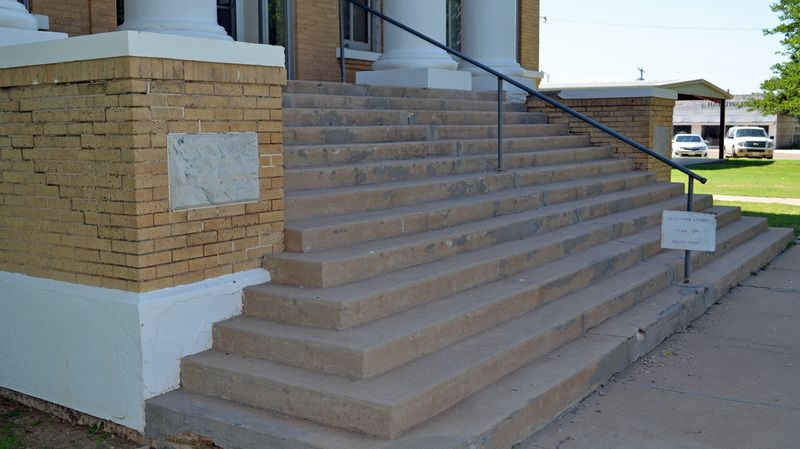 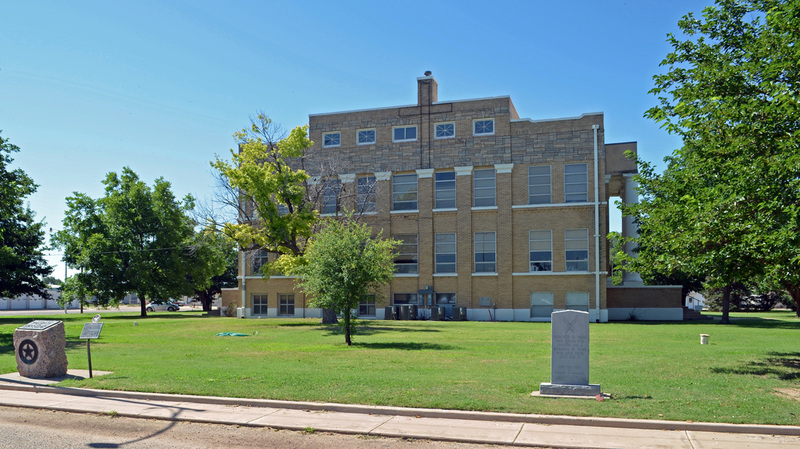 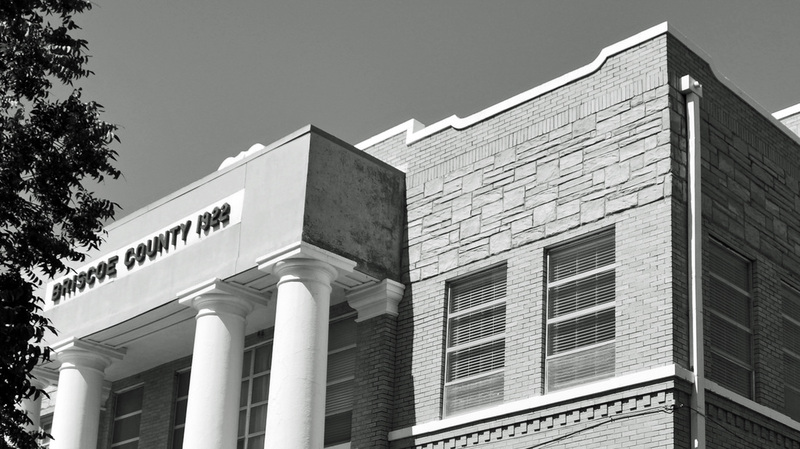 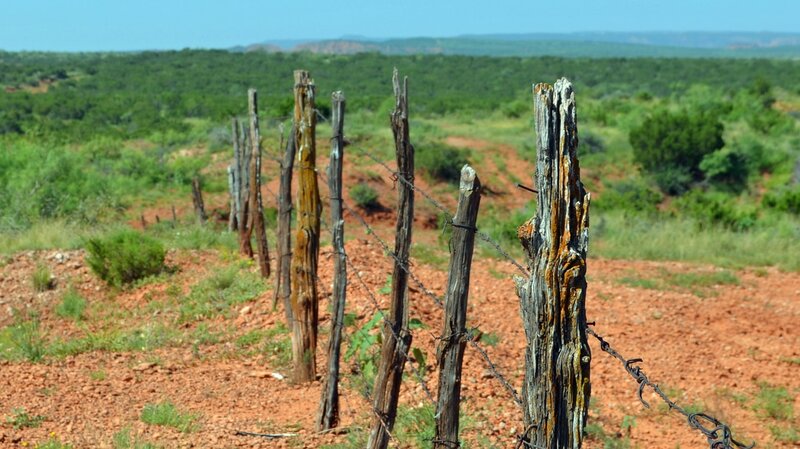 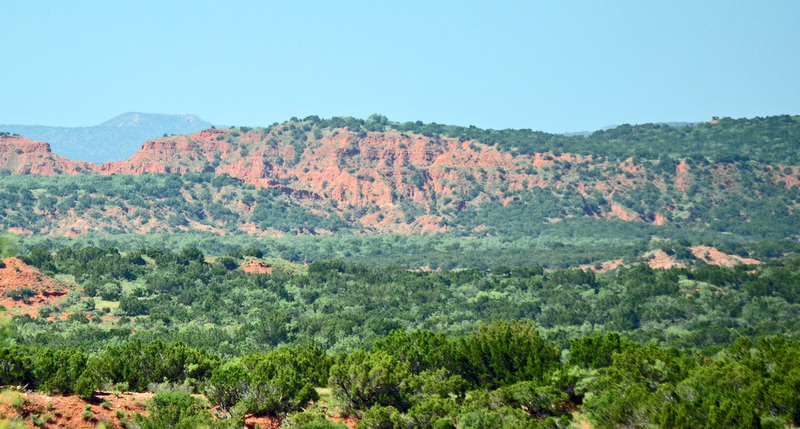 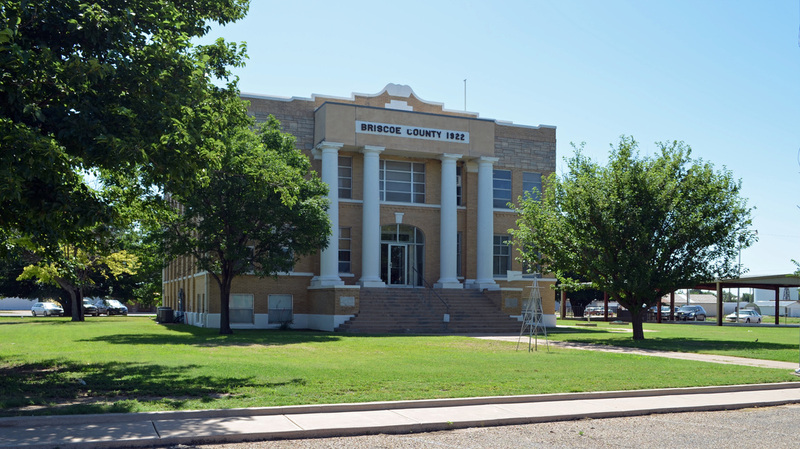 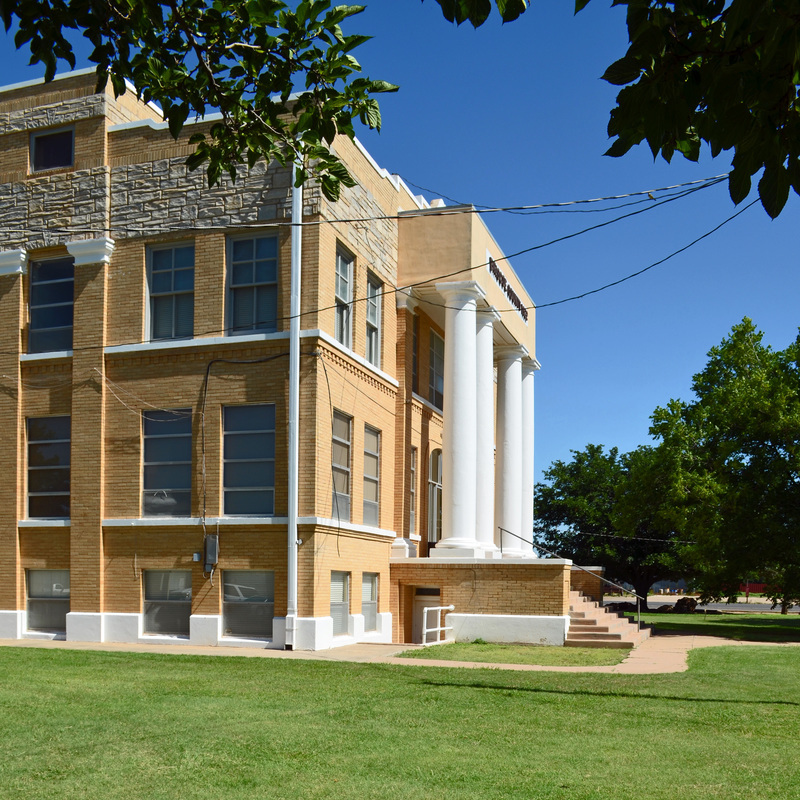 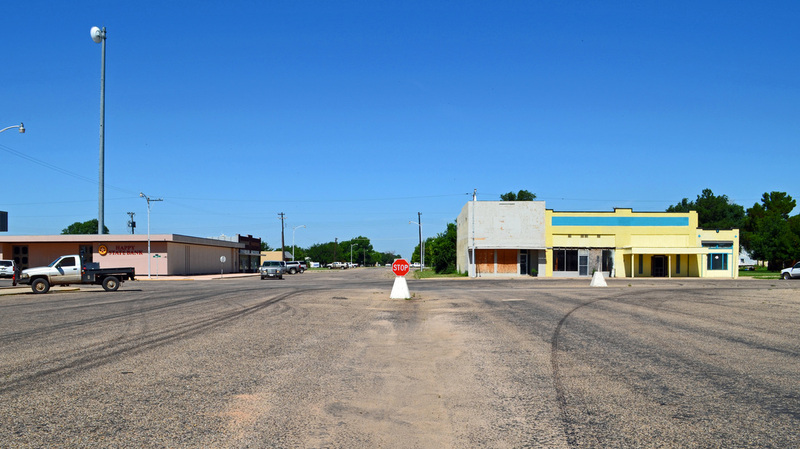 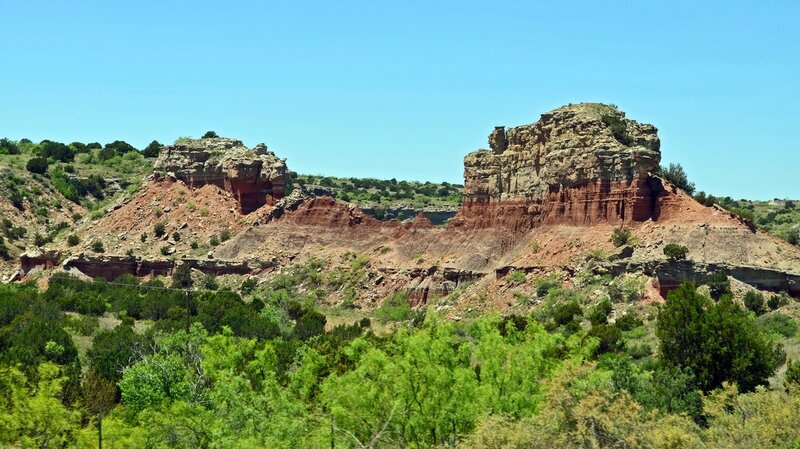 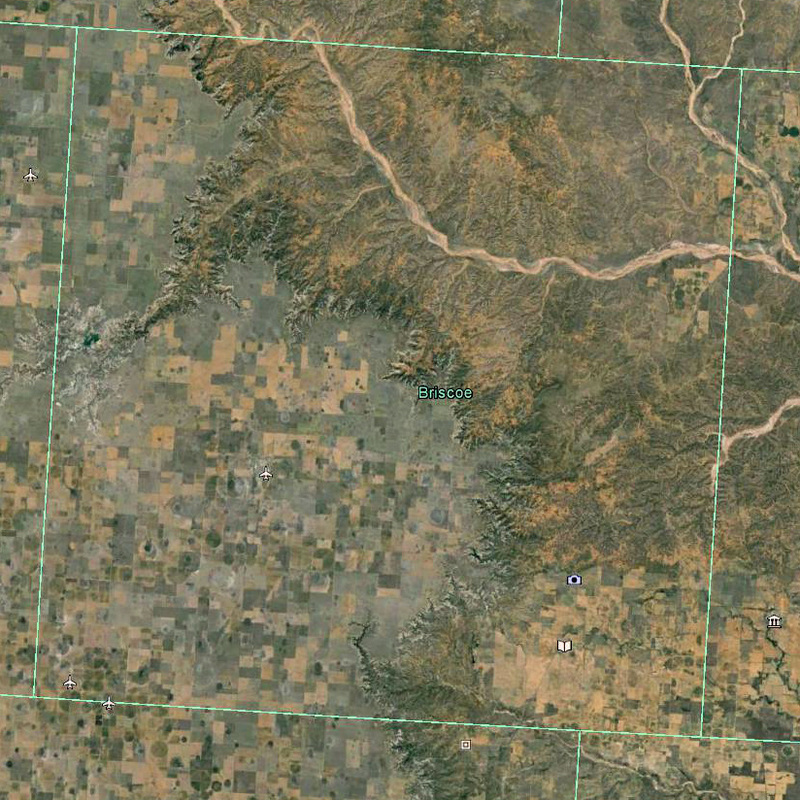 "Briscoe County is on the edge of the Texas High Plains along the eastern Caprock escarpment, which separates the Llano Estacado from the rolling plains. 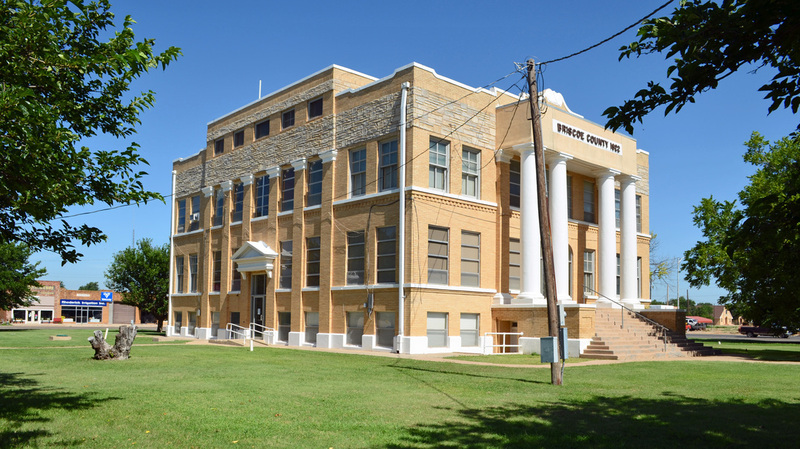 It is bordered on the east by Hall County, on the west by Swisher County, on the north by Armstrong County, and on the south by Floyd and Motley counties. 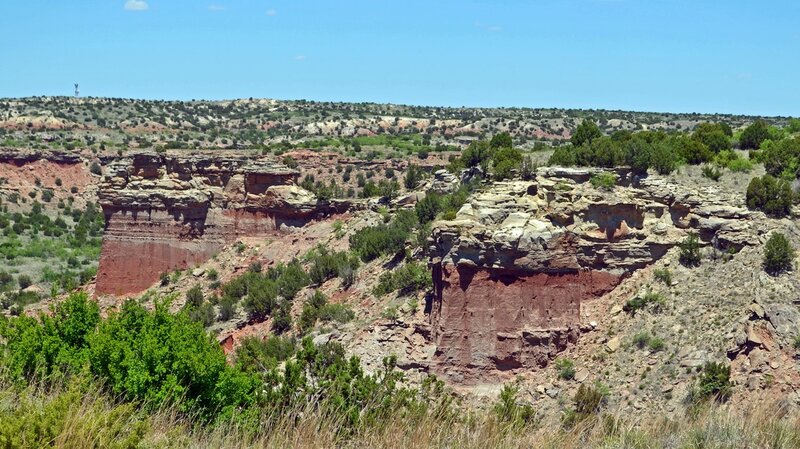 The county comprises 887 square miles of irregular terrain ranging up to 3,300 feet in altitude; the elevation drops in Tule Canyon as low as 1,000 feet. 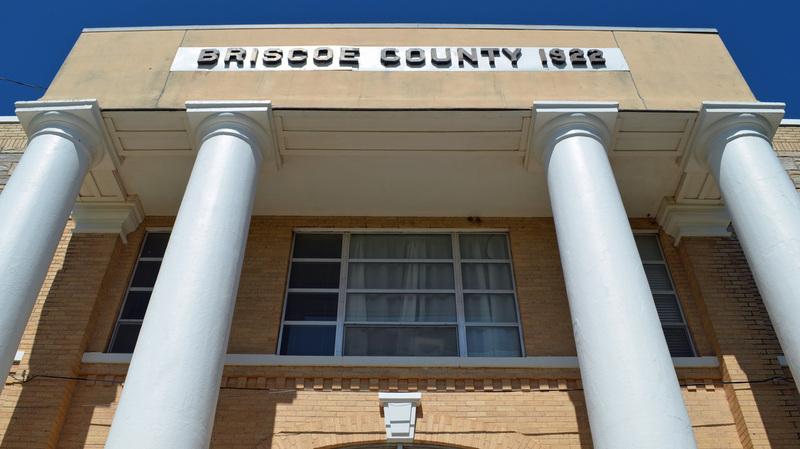 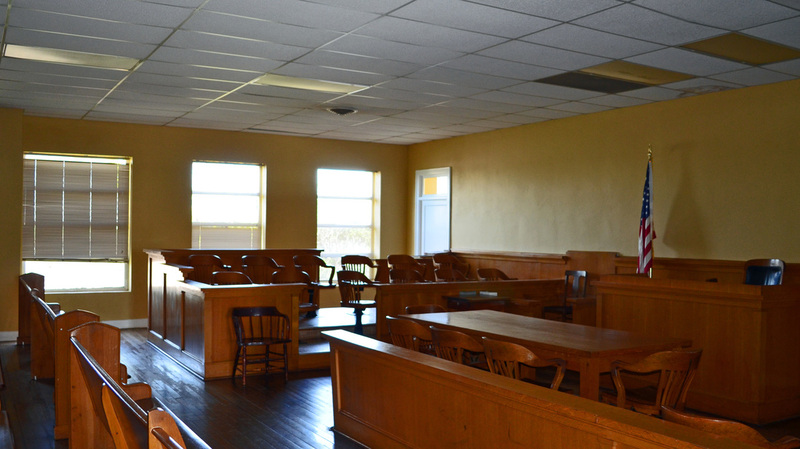 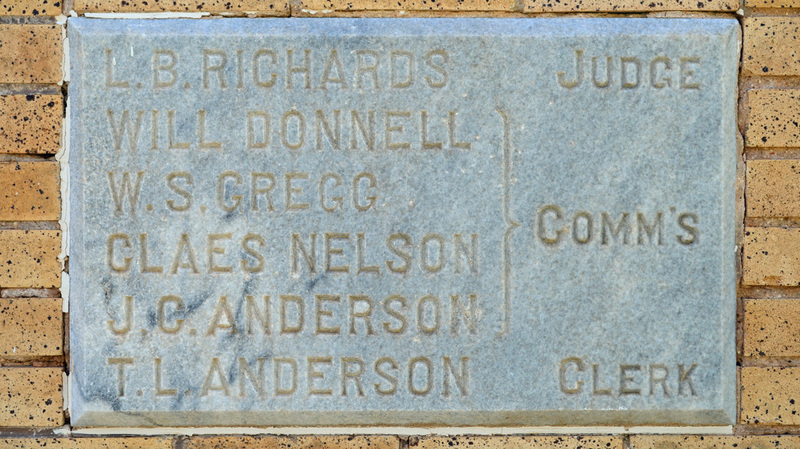 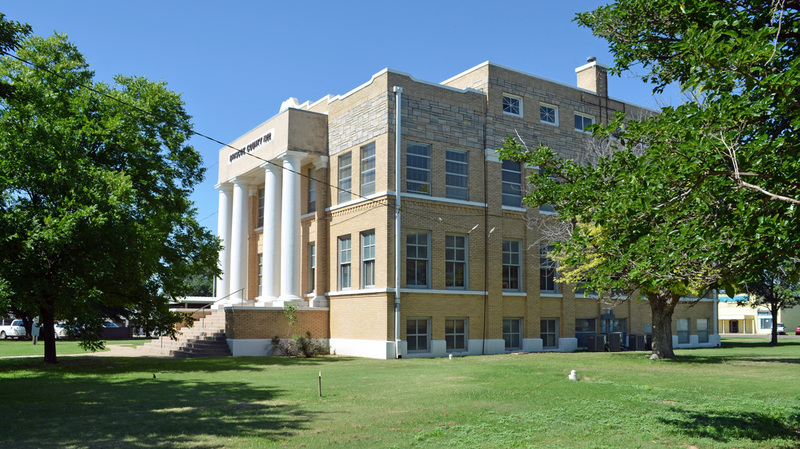 "Briscoe County was separated from the Bexar District in 1876, organized in 1892, and named for Andrew Briscoe, a soldier in the Texas Revolution, who during the period of the republic became a judge and railroad promoter. 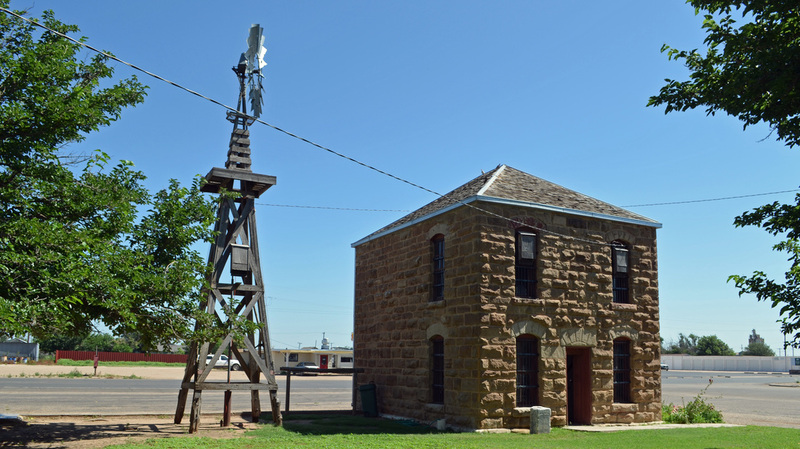 "The town of Quitaque began in 1890 as a stage stop. 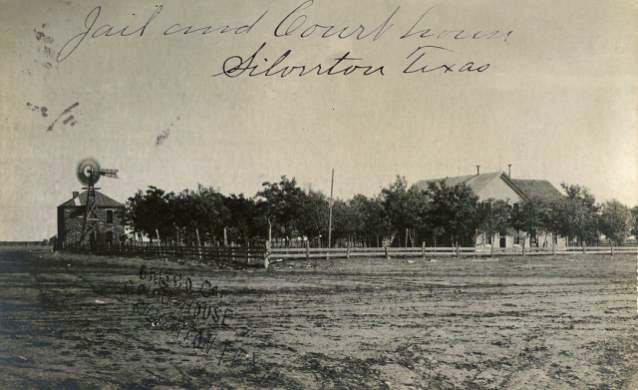 Merchants and other businessmen also trickled in; in 1891 Thomas J. Braidfoot laid out the townsite of Silverton and led the movement for the organization of the county. 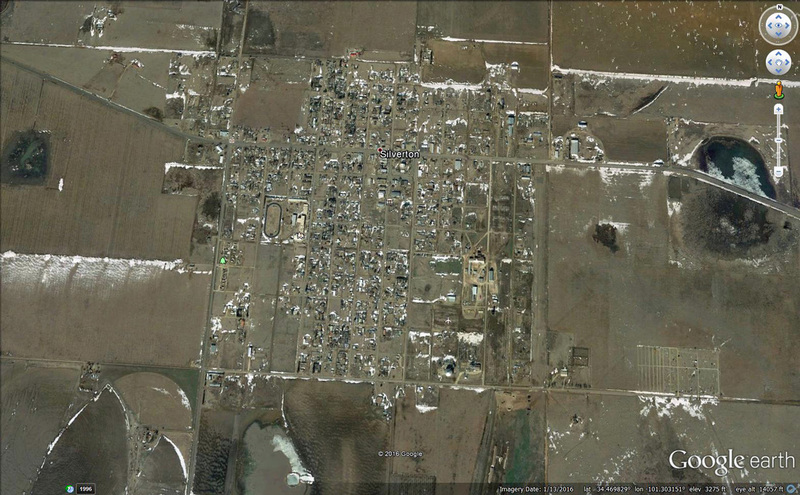 By the spring of 1892 enough settlers had arrived to bring Braidfoot's plan to fruition. 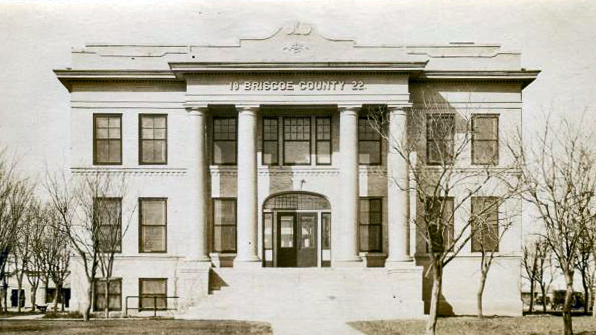 A petition was circulated, and on March 15, 1892, the electorate officially organized the county. 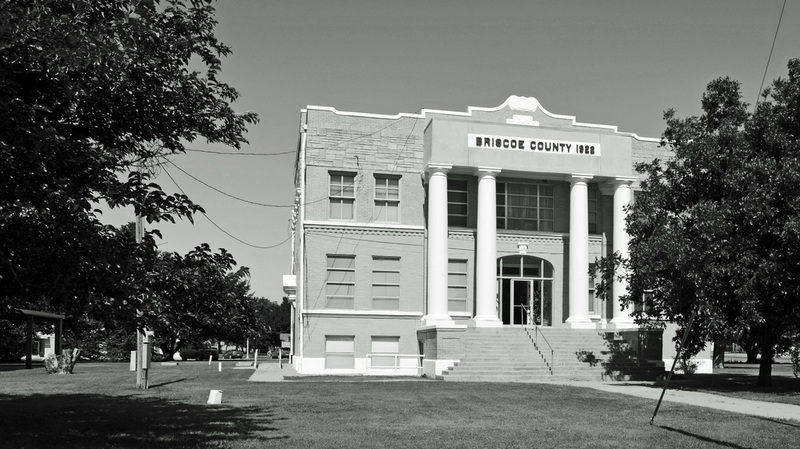 "Cotton was first grown in Briscoe County on an experimental basis but became one of the county's most important crops by 1930. 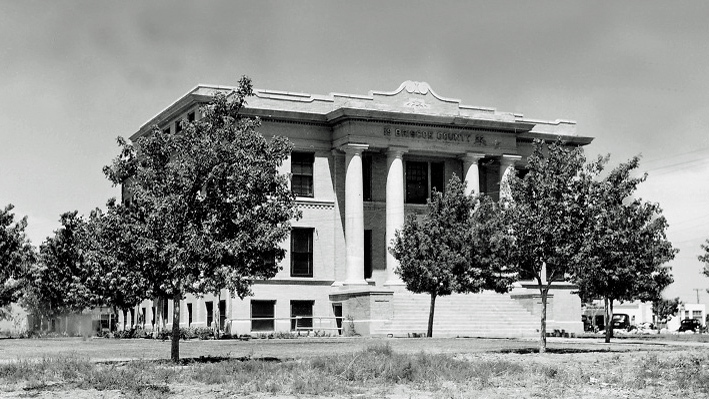 In 1900 only eight acres of Briscoe County land was planted in cotton; in 1910 over 3,400 acres were devoted to the fiber, then 7,535 acres in 1920, and over 36,000 acres in 1929." 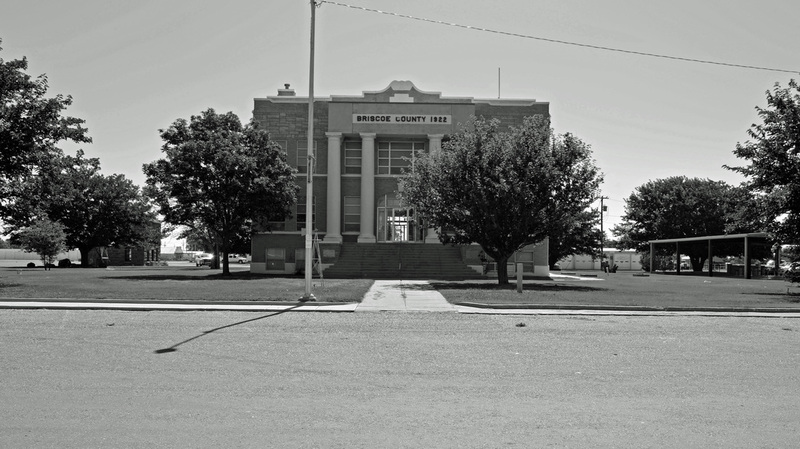 I visited Briscoe County and photographed the courthouse in Silverton on Wednesday, July 15, 2015 and on Tuesday, May 10, 2016. 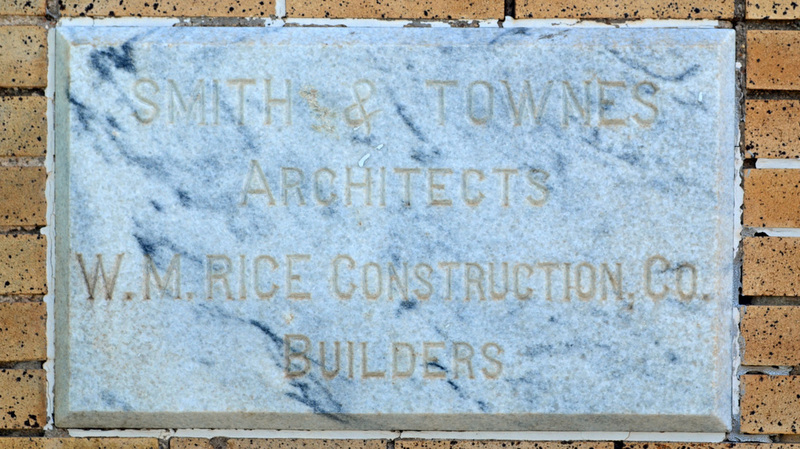 Snow drifts in January 2016. 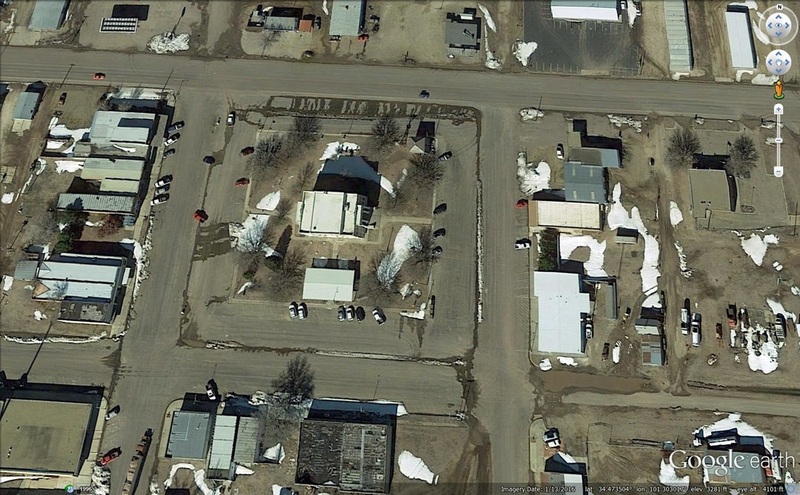 The courthouse square is surrounded by a lot of asphalt! 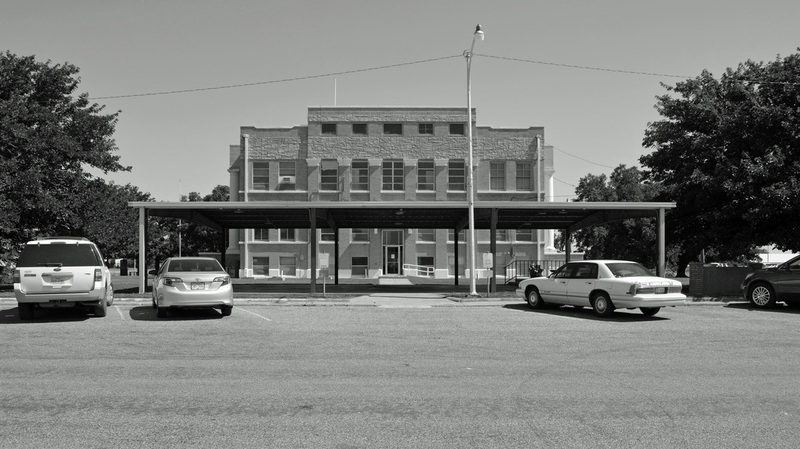 The north facade, a year later. 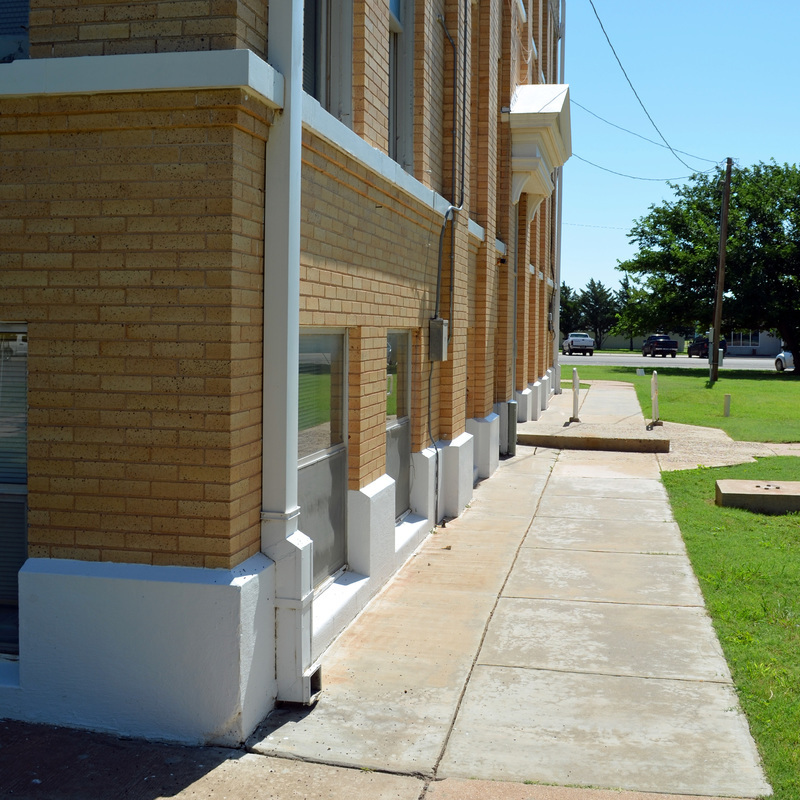 Silverton City Hall on Broadway, east of the courthouse. 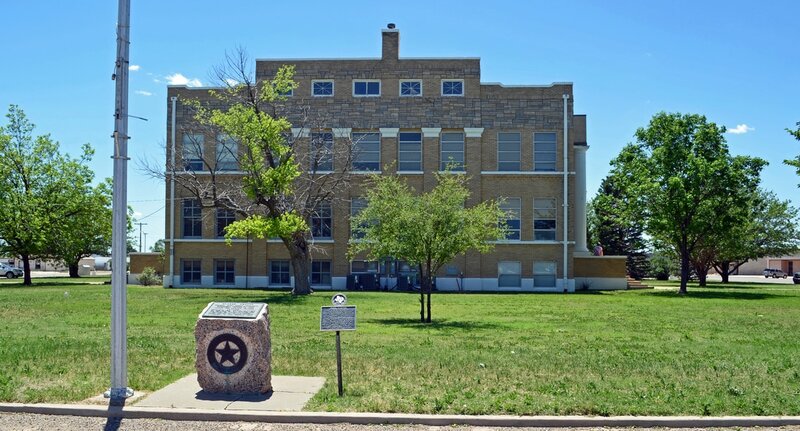 I'm partial to the High School mascot!